It is done. Alister is finally released. Here comes the gold version. Note that the Beta versions are removed now. Please download the final version from the Alister page. I have again found some small bugs and quirks. Like english text where it should be german. See release note. And that’s it. The development is complete. The work of 2 years and 10 months comes to an end. Big thanks goes to all the people who gave me feedback and helped me with problems, ideas and bug reports. I see the finish line. This is the last beta version. I don’t find any bugs anymore. So i wait four more weeks if you users find something. And i will of course also play through here and there to see if i can find some more bugs. But in four weeks comes the gold version now. Did last long enough. Project start was May 2011. Now we have February 2014.This update brings again quite a few bugfixes. 57 to be exact. This includes critical bugs like missing bookpages. But most of it was stuff like grass in the air or wrong samples. The Linux version comes as tar.gz now. Which preserves the permissions. Same goes for the Mac version. Rar kills the permissions. Here it was zip that leaded to the goal. Thanks again for the help to fix this problem. The Webplayer is history now. I have removed the online version for this new version. It costs too much performance for my little server. The Unity Webplayer downloads the game again and again with every call. So better download it once and play it offline. Getting close to the release candidate. Here comes the next beta version. A bit earlier than thought. But i have catched over 80 bugs again in this testing cycle. So it’s worth a new version. As promised, the old alpha versions are gone now. The first beta version is still available though in case something went wrong with this beta version. I’m also thinking of removing the webplayer for the final version. This one costs too much bandwidth. Unity webplayer downloads the game again and again. The biggest changings is the four new levels. Goat Valley, Ice Cave, Mountain Peak and The Market. They were time consuming as usual. I have also sorted the levels a bit different. 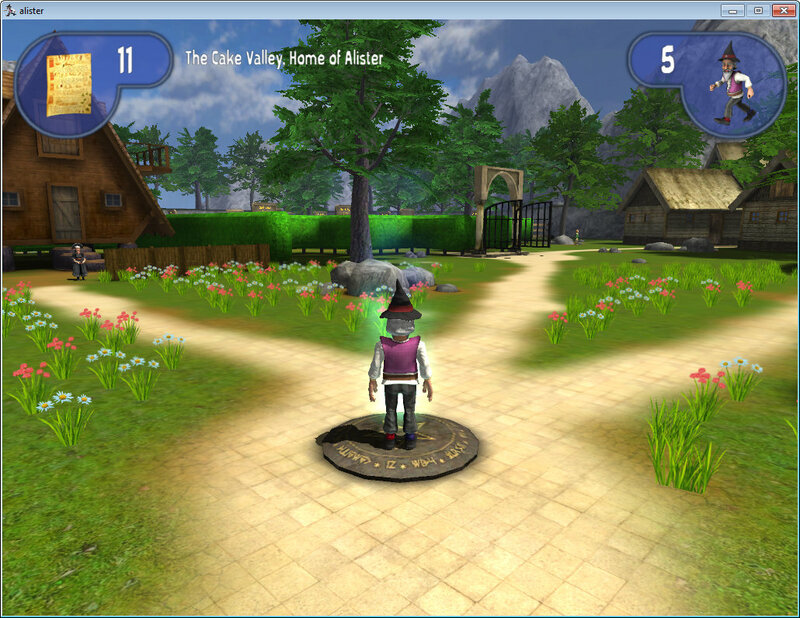 With Goat Valley there`s an relative easy beginner level right at the start now. Here`s enough space to test the behaviour, and nearly no danger, besides the three goats. And i have as usual catched more than one bug. The list is quite impressing. I have redone the english samples. Joshua Michael Waggoner was so kind to fix my english translation mess. Also new is a installer version for Windows. Not everybody wants to work with a zip file. Now let`s catch the remaining bugs and quirks. That`s the job for the next few weeks. An emergency release because of a showstopper bug with picking up the blue mushrooms. I hope it is fixed now. The list of changings is pretty small therefore. This is a pure bugfix release. There were quite a few more showstoppers in the way than thougth. The list of bugfixes and small changings to the balance is huge. I have for the first time spend my baby a whole betatest cylcle, have played though from frame 1 up to the endboss, and have catched all the bugs that i could find at that way. The game is still everything but perfect. There are surely more bugs and quirks left. And there are still some more levels missing. But it should finally be playable up to the boss now. There is also a showstopper bug fixed, which made it impossible to reach the boss. Which was one of the main reasons for this update. It was not possible to get the questitem in the snail island level. And without complete quest items you cannot reach the boss. I hope i don`t have too much other bugs like this in the game. But that`s Alpha. As usual there are also lots of bugs fixed in this version. And more than one to do item solved. I have finished the boss AI. And i have again battled with the wind bullet. It decided randomly to delete the player too when self destructing. Thanks for the solution goes to Flatterbacke. Phew, this one was faster than thought. The last missing bits are added. When there wouldn´t be more levels, the finished Boss AI, and the idea to add audio to the text passages, then the game would be feature complete. I personally count this version as a first inofficial beta. You can (hopefully) play through. Everything is in place. Just a bit more content in form of more levels is missing. I have again catched a few bugs in this version. Very visibly new is a new water shader. 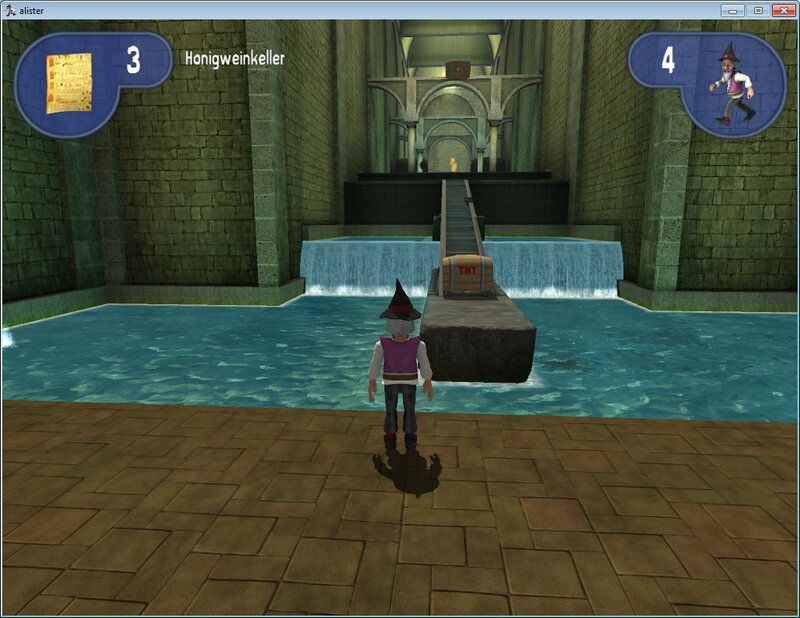 This one looks fantastic compared to the indie water that i had before. The storyline had some loose ends that are fixed now. We have german translation now. And i made a big cleanup that shrinked the file sizes quite a bit. Around 30 Mb in general. What i haven`t finished yet is the Boss AI. There`s a nasty Win 8 bug in the way. And i am still at investigating what is going on here, and how to make it playable at Win 8 too. This one will hopefully be added in the next few days by a point upgrade. A minor update to fix the most obvious bugs. Wow, is it really four months already since the last release? Amazing how much time all this small things eats. Anyways. Another milestone is reached. Again time to step back, have a look at the whole, and do some last decisions. Lots has changed again. The 200 builds since last release are well evoluted. Even when you don´t really see most of it. The size of the builds increased by around 40 mb for each build. Now i can the first time play through up to the credits. Well at least it should work. And i hope that there is no showstopper bug in the way, fingers crossed. And i have of course removed lots of bugs and other quirks too. A full list of catched bugs and new features can be found in the release note that is linked above. And in the release note that is attached to the zipfiles. I am nearly feature complete now. Which can also be seen at the To Do List. The ideas list is empty now. What follows is to work through all the things that were formerly on ice. Mainly cleanups and improvements like LOD or texture size. And collect the last missing bits and connect the last loose ends. The biggest missing part is more levels. But i am not sure if this is really necessary. More levels is of course always a good thing. But honestly i don`t feel for doing the rest of the promised 20 levels. Currently i have 10. This would cost minimum another year. Making more levels is very time consuming. Maybe one or two more. We will see. Note that the offset barrers in the labyrinth is no bug. This chapter is just not finished yet. So i leaved a gap so that you can still reach every level for now. And another bugfix release that squishes the reported bugs, like missing levelnames, not displayed bookcounts and not longer working quit in the pause menu. Hopefully i have most of them now. The crash at quit is still there though. Have to wait for Unity here. I have also chosen another linux export method now. Didn`t noticed that there was an option at all. This method is 32 bit and 64 bit. 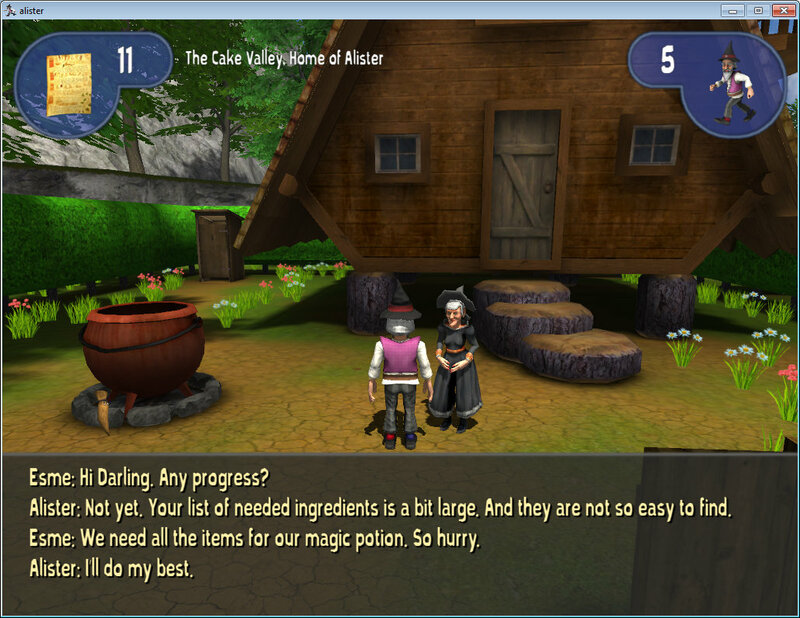 On it goes with development and implementing the rest of the game like storyline. This is the traditional point release after the main release release that fixes the most obvious bugs and quirks from the main release. It fixes for examples the names above the teleportergates, introduces the name of the current level displayed in the hud, plus a few other small fixes and updates. I was not able to remove the most obvious bug though. The crash at exit. That`s a Unity bug and will be fixed in Unity 4.2. So we have to wait for that Unity version. For a complete list of changings see releaselog. Another milestone is online. Unfortunately you don`t really see much about it. The levels are nearly unchanged. There are nevertheless lots of changings and bugfixes. A complete list of changings can be found in the release log. The biggest changing is the menu. It`s a circle menu now, and exactly as i wanted it to be. I`ve changed the method for this one, and have bought the NGui plugin. It was well worth it, and has saved me lots of time. The current Unity GUI solution is something to get crazy at. And there are savegames now. Three slots to be exact. 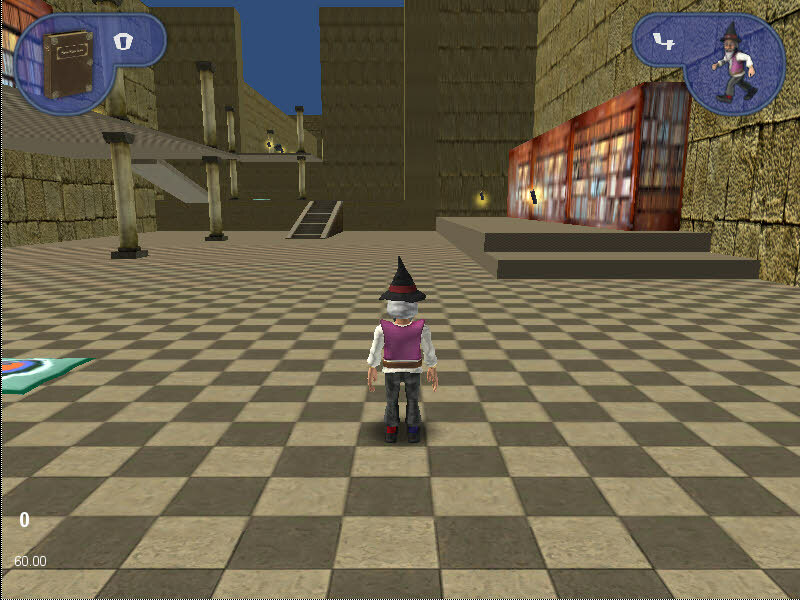 The game gets saved automatically. On it goes with some biggies. Make the gameplay and the levels more interesting. That`s where i need new graphics. And i guess i will also change the existing ones here and there. This one is a minor update. Mainly a bugfix release. Amazing how much time this few changings have cost. Now it`s time for all the bigger changings that makes a game a game. Storyline and stuff. This chapter can again last a few months. So be patient. Wow, is it really half a year since my last entry? And over a year since the last version? Unbelievable how the time is running when you have fun! This time i bring you new material. A first alpha version. With ten playable levels and a somehow useful menu. For the records, this is build 382. I wanted to be much further. But that`s game development. As written in the previous post, creating the outdoor levels has cost lots of time and more than one detour. But i`ve learned really lots of things. And my workflow is much increased. It stays lots of work to shape a level though. Around a month for one level. 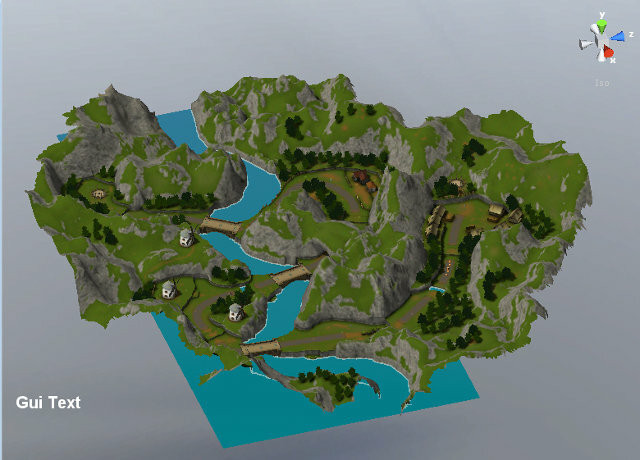 I have shaped half of the once planned levels. That`s why i call this alpha version 0.5.00. Once planned were 20 levels plus one or two bosslevels. Let`s have a look if i can realize it. For now it`s time to stop, to collect feedback, and to have a look at the big picture. 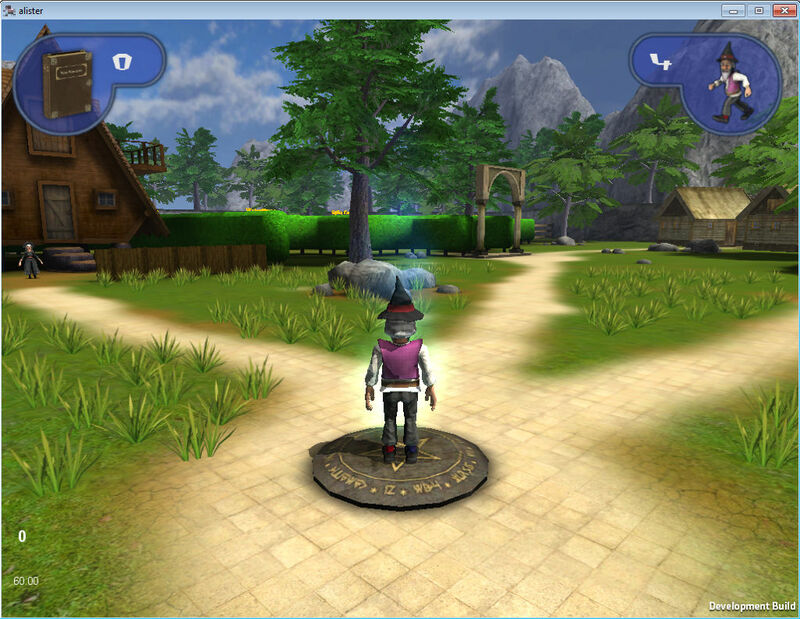 And to try to make the current version playable in a way that it is fun to play. That`s always one of my biggest fears. To create something that doesn`t make fun. Try to analyze a joke and you know what i mean. There`s plenty of work waiting. The joypad problem is still not solved. Gamebalance is always a very special chapter. Unity`s GUI system drives me crazy. Not talking about optimizations. Most obvious changings against the prototype: there is no shooting anymore. Alister can still kick though. Alister sees stars now when he is tipping over. Chests are not longer moveable. Too much trouble with the physics engine. And you can die now when your five lives are gone. There is no big penalty yet though. In the worst case you have to walk back to the level you died in. Some sound fx have changed, and lots of new sound fx have been added. Music is more or less completed. Maybe i need a bossfight song when i decide to create a bosslevel. 20.5.2012 – Devlog Update. Again nothing new. Just a new screenshot. See above. And a short piece of text. The screenshot shows with what i am still busi with. Still level 5, an outdoor level. And i am of course still not finished. The traps and enemies are still missing. But i am finally finished with the level graphics. That one made me crazy. I have trashed the old way to use the heightmap based unity terrain, and create the landscape from geometry now. It`s technically impossible to give the Unity terrain the for a platformer needed sharp corners. The heightmap itself cannot have sharp corners. And when i add extra geometry for this needed corners then i end in very visible transitions. Which gets even increased by lightmapping. So i use geometry now instead. Advantage: i can build sharp cliffs and even caves now. Disadvantage: it costs much more time to create the level geometry in a modeler. And i cannot use the Unity terrain features anymore. Fortunately there is a plugin that gives me at least some of the Unity terrain functionality back. Namely texture splatting so that i can mix several terrain textures. And of course the placing of trees. Grass is something that i will leave alone for now though because of performance reasons. But that one is quickly added at a later point in case i really decide to use it. I thought i can get away with shaping one level in two weeks. That was highly optimistic as it turns out now. Things goes amazingly slow at the moment. Creating the furth level, an outdoor level, has cost me around three months of testing and tinkering around and trashing things and code until it was finally where i wanted it to be. Not better with level 5, another outdoor level at which i work at the moment. Weeks are already gone again, and i am still miles away from being finished with it. Here comes the next prototype version. 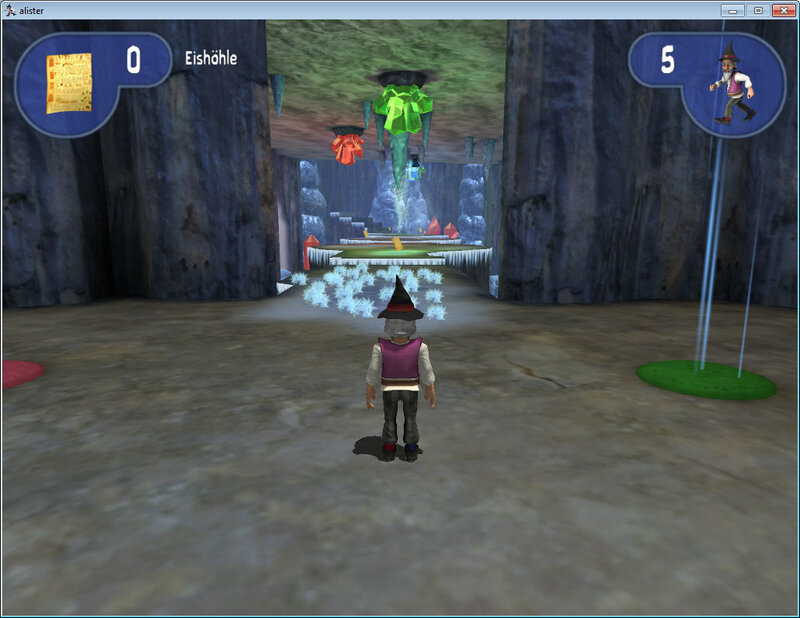 I´ve changed some things, have fixed some bugs, and there are three complete levels now to play. The current size is around 40 mb. The next version may last a while. I need around two weeks to shape a level. And the next version should be a beta version with all levels. I don`t want to release the game in pieces, heh. EDIT, small update to Build 169. There was a barrel not rolling, i did some more drawcall optimizations in the third level. And i hopefully have fixed the joypad issue. This build is mainly about graphics. And defines the further look of the game. And i have added a few new things like a button and a ball. The ball to reach the one book (to make the ball swimming was a drama at its own), and the button to reset the ball in case it drops at the wrong location into the water. 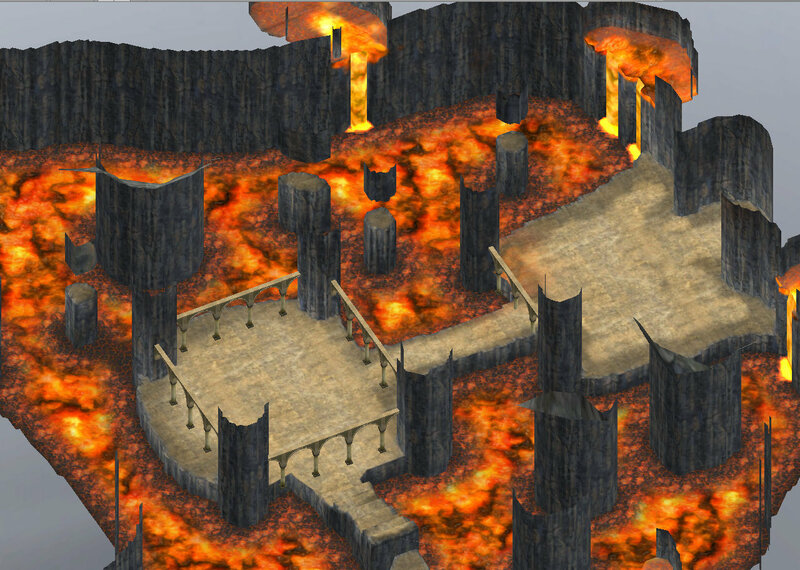 I have removed the lava from the level and have replaced it by water. Lava will probably come back in later levels. And finally i did a few changings under the hood that are not really visible. 12.9.2011 – A small update. The prototype has changed a bit. I`ve purchased a plugin that gives you realtime shadows in the Unity Free version. This volume shadows has its pitfalls though. For example that it shines through walls and ground. Still not sure which way to go. Projector shadows are even nastier. The updated prototype also contains some first lightmapping tests. And i`ve experimented with the best workflow to shape the level graphics. First i was happy with some external shaped geometry. With one mesh per material. But as it turns out i will get in trouble with the seams that way. A precision problem. In some corners i can look through. I have to rethink my method i guess. 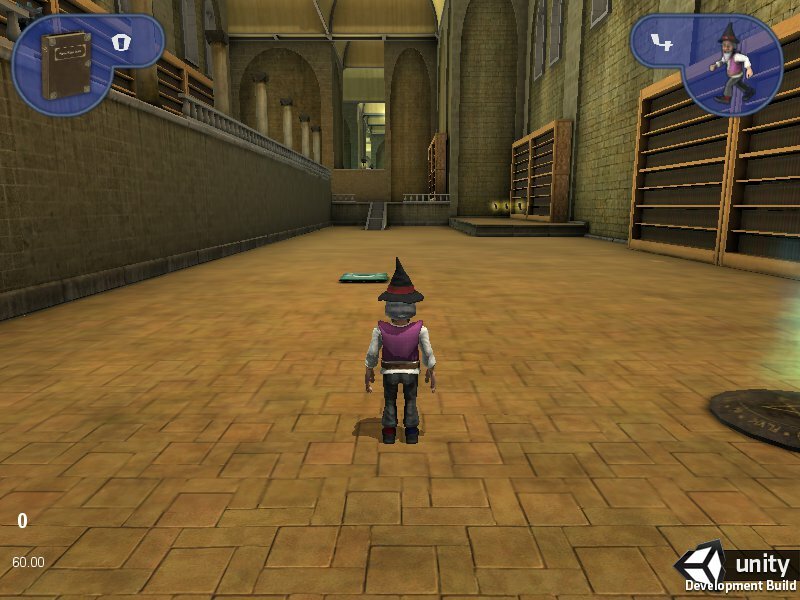 3.9.2011 – After a break of around one year i have picked up Unity again, and have started to develop a little 3d jump n run. Title of the project is Alister. The first steps for this project was made in may this year. The prototype is very good. 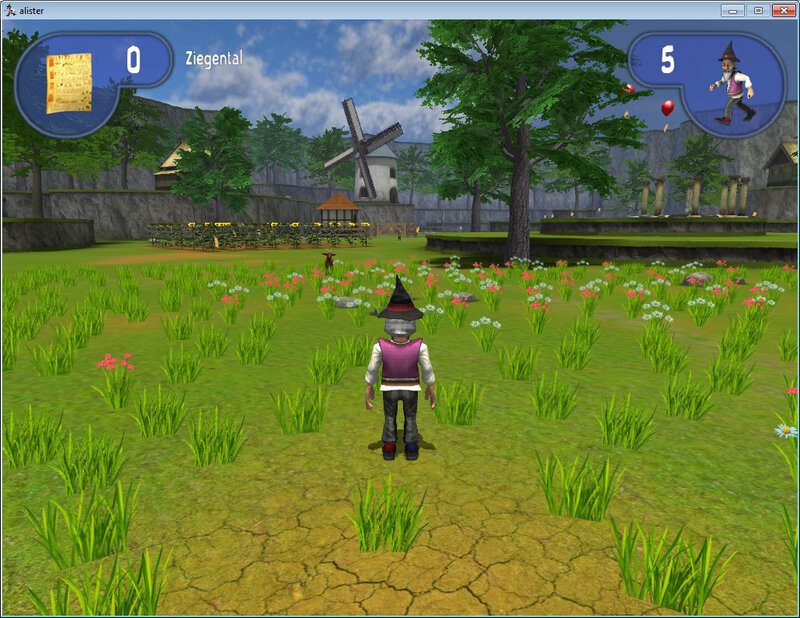 With some more tweaking and textures it will be a great game. This will need its time though. könnten sie den Prototyp vielleicht als .exe oder ähnliches veröffentlichen? 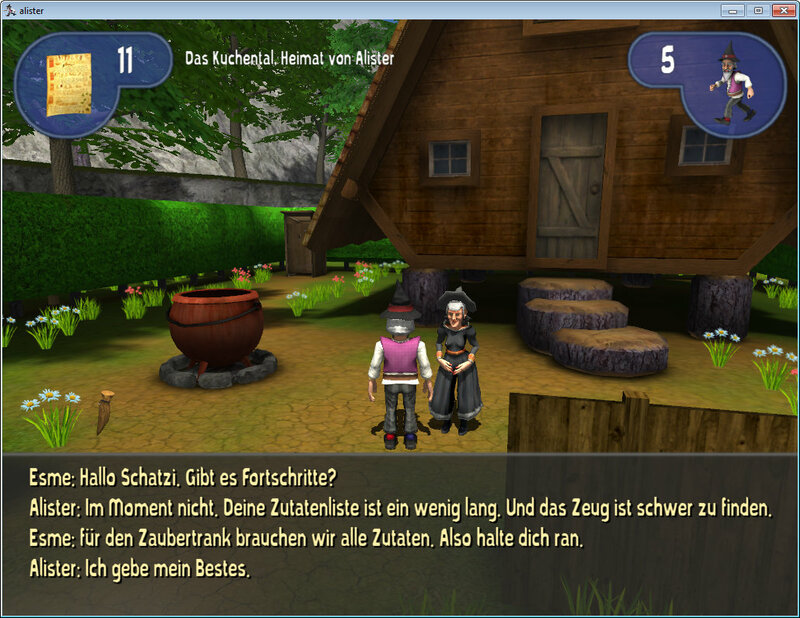 Ich habe Probleme mit dem Unity-Web-Player, da würde mir eine ausführbare lokale Datei schon aushelfen. Sorry, aber auch noch zusätzlich eine Exe zu pflegen fehlt mir die Zeit. Es gibt eh noch fast nichts zu sehen. Es ist ein Prototyp. Was für Probleme hast du denn mit dem Unity Webplayer? Der Ladebalken bleibt jedesmal auf halber Strecke stehen. Wartet man noch eine Weile tritt ein Fehler auf – mit der Meldung das es einen Fehler gab und ich es nocheinmal versuchen soll. Was dann in der gleichen Meldung endet. Ich würde dein Projekt wirklich gern mal sehen. Arunderan fand ich schon ganz lustig. Ich warte dann wohl bis es published wird – vorfreude ist die beste Freude. Demnach – man liest sich. Seltsamer Fehler. Sorry dass ich dir da nicht weiterhelfen kann. Vielleicht hilft es ja den Unity Webplayer noch mal überzuinstallieren. Gratulation zum Spiel – ich finds jetzt schon sehr gut! Very nicely done I really like it all but the character turns so fast makes me dizzy 🙂 I am also learning to use Unity. Started at the beginning of the year and started taking the lerps tutorial as a base recently. This looks fantastic. I personally don’t fancy Unity but it’s a great tool for people that don’t want to do actuall programming to get a game done. I just wanted to tell you that now I’m a senior programmer at one of the “big guys” in the industry and it’s all thanks to your graphics. If I hadn’t had your resources when I was younger and still learning game development I don’t think I could have made it. I’ll make sure to drink a beer in your honor! wenn ich schon mal so weit wäre! Wird sicher ein super Spiel, bin gespannt. ich habe gerade deine Alphaversion 0.5 angespielt und möchte dir hier gerne dazu ein Feedback abgeben. Beim Springen werden die “drehen” Tasten plötzlich zu einer “strafe/seitwärts” Bewegung, während die “strafe/seitwärts” Tasten hingegen keine Auswirkung auf den Sprung haben. Ist wirklich schön designed. Beim antesten habe ich die Möglichkeit vermisst, das Level wieder verlassen zu können, nachdem ich eines erwischt hatte, dass ich aus der vorherigen Version schon kannte. Vielleicht noch eine Art Anzeigemögichkeit wieviele Bücher von den Möglichen man bereits eingesammelt hat? Vor allem in Hinsicht auf meinen nächsten Punkt. Was mir am meisten aufgefallen ist, dass ich derzeit keine richtige Funktion/Nutzen für die Bücher sehe und mir dann die Motivation fehlt um sich die Mühe zu machen alle einzusammeln. Bisher ist für mich die Hauptmotivation die ganzen Hindernisse und Sprungpassagen zu meistern um durch den Level zu kommen. Man könnte z.B die Level nacheinander freischalten. Man gibt dem Spieler immer die Möglichkeit zwischen 2-3 Leveln zu wählen und erst ab einer bestimmten Bücheranzahl werden die nächsten Level freigeschaltet. Oder getreu dem Motto “Wissen ist Macht” kann man die Bücher zum freischalten von neuen “Fähigkeiten” einsetzen, die einen vielleicht höher springen oder nach einem Sprung gleiten lassen? Naja ich kann natürlich nicht genau wissen, wohin genau du mit deinem Spiel willst und was du schon weiteres geplant hast 🙂 Finde es jedenfalls toll, wie weit du schon damit komplett alleine gekommen bist. Springen ist so gewollt. Man soll sich in der Luft nicht drehen können. Strafe ist für die nächste Version schon leicht erhöht. Mit Strafe quer zur Blickrichtung laufen möchte ich nicht, sorry. Hey, small bug after playing for a short bit. In the spikey castle, with the 2 moving platforms over the water, if you do any sort of attack (fire or kick), you no longer move with the platform. I tried jumping back onto the platform, but it still didn’t move me with it. I have already removed this platform in the new version, and replaced it by something else. I hope this fixes the issues. At the latest tests the character didn`t loose the friction anymore. Fingers crossed. I found a bug that the portals are triggered even with the fire particles that Alister fires. Not actually a bug, but…something…. When the camea collides with a wall or obstacle moves near to the player. The problem is that you see through the wall at the very first moment. Yeah, i know the problem. But there`s nothing i can really do against it, sorry. When i set it up so that the camera doesn`t look through the wall then the movement of the camera makes you seasick when you touch a wall. It gives you very quick chaotic flickering movement pictures then. That`s why i prefer to have it a bit slower, with the drawback that you can look through walls a bit sometimes. You can make a raycast 1-2 units from the sides of the camera, so it triggers the movement the reycast hit and not the camera itself. What do you use to move Alister? In “Wasp Valley”, after the bouncing rocks, there’s a windmill with a goat behind it. There’s a fence with a book behind it. I suppose you must jump on the 3 small rocks to get it. However, you can jump from the small rocks to the rock mountain, and then start to climbing it and messing with the level. The groundtextures, mmmh. Not everything is available at my page, sorry. I seem to remember that i haven`t used own photos for my ground textures. That`s why those ground textures are not at my page. Stuff like grass or mud or rock is best taken from other pages. Another reason is that some stuff is done by shaders. The ground in the dungeons for example is a mix of a tiled brick texture and a dirt texture above it to have more irregularity. I recently played your game and I found you have a camera collision effect. It`s a camera script from the Unify wiki. I am not sure which one though.It`s too long ago that i grabbed it. 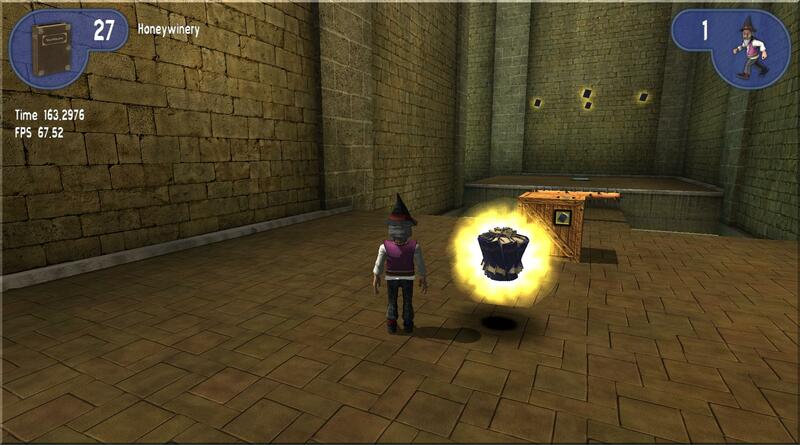 It uses a raycast to detect if there is someting between player and camera, and it zooms in when that`s the case.